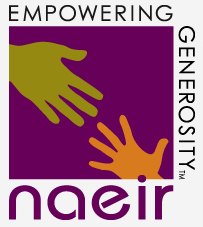 Teachers, have you heard of NAEIR? 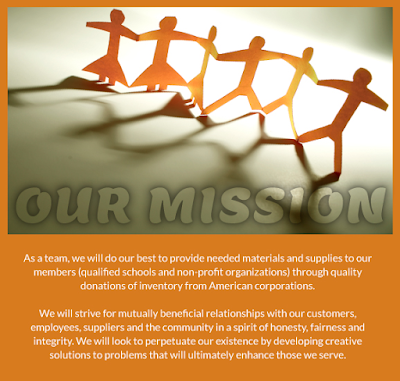 It's a nonprofit organization that receives donations of merchandise from huge companies, and offers them to schools, churches, and other nonprofits. Technically we (teachers) receive the items for free, by paying only processing and handling fees. This means savings of 66% - 96% off retail prices! Shopping on the NAEIR website is a fascinating experience. You never know what you will find. Looking under Educational Supplies will lead you to pencils, pens, markers, rulers, a myriad of post-it notes, and tape dispensers, just for a start. Keep in mind that merchandise is always changing, and make sure to look in other areas as well, such as Best Values, Clearance, Specials, Deal of the Day, and Overstock products. Here is one of my favorite items - I have purchased many of them to use in my Readers and Writers Workshop. 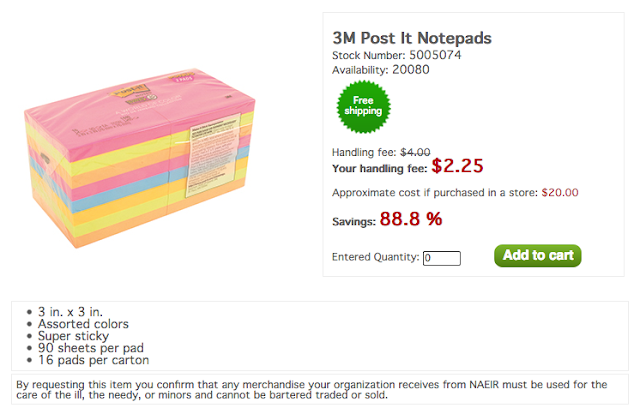 The price for these super sticky post-it notes comes to less than 15 cents per pad! And, at the time this post was written, there were over 20,000 available. Keep in mind, the items that you purchase must be used for your students, and not for any other purpose. Are you ready to join? Click HERE to go to their website, click on Teacher Program, and sign up. Getting all the information about different topics is a hobby for some readers. Website like this helps to get good knowledge. Additionally the information which you have prepared is in an excellent way. The contents has arranged in a great structure. The subtopics are written without mixing to one another. A new insight is providing good knowledge to the reader and also the information is very helpful in the further studies.